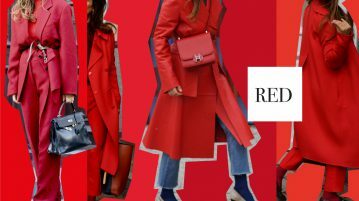 Revolutions are ignited by it, the camera loves it and Coco Chanel once said, „If you’re sad, add more lipstick and attack.“ – no other colour has the extraordinary appeal of red. Red is fundamental, the colour of kings and queens, war and empire, theatre and power. It is both the Devil and the blood of Christ, hell and the Holy Ghost. It’s the colour of life and action. 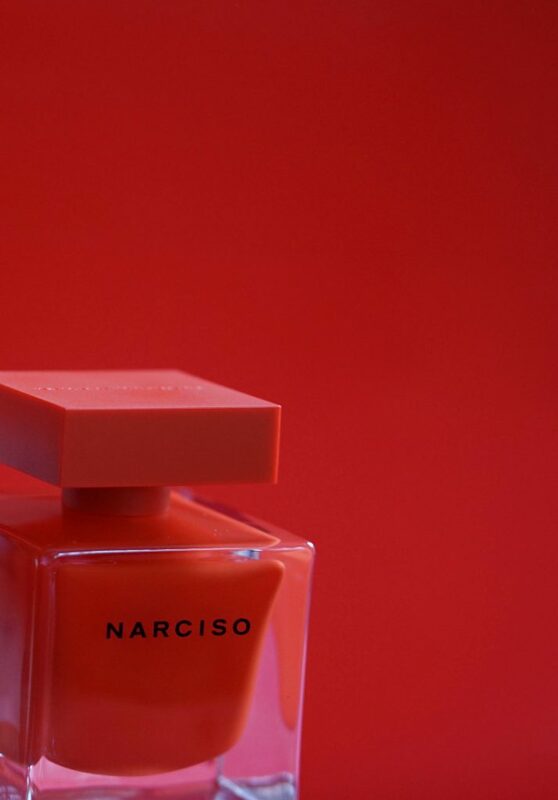 Red is at it’s best when wearing it pure and that is symbolized by the beautiful red squared glass flacon in pure red by Narciso Rodriguez latest Scent NARCISO Eau de Parfum Rouge. A sublimely seductive, mysterious, provocative and passionate perfume with an elegant sweet essence of florals . “I love colour that is very pure; it elicits profound emotions and it’s very visceral. 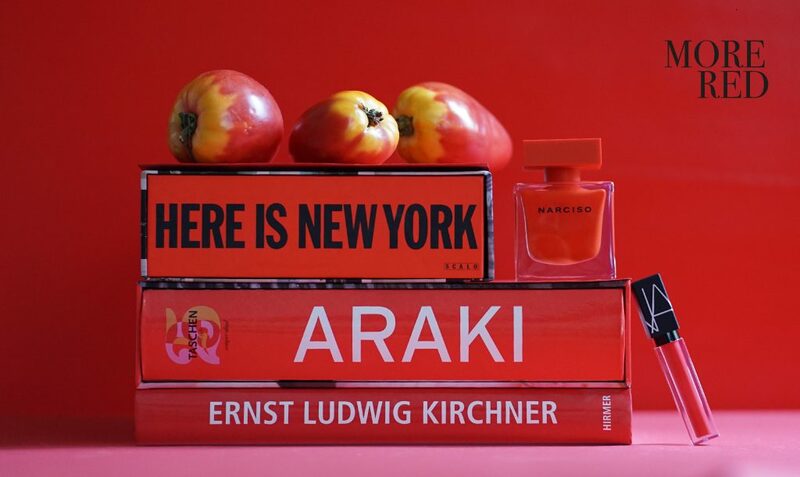 The red I’ve chosen for NARCISO Eau de Parfum Rouge embodies passion and mystery.”-Narciso Rodriguez. The vivid red of the new edition reportedly captures the fierce powers of attraction. In Nepal red is a colour often worn by married women and tends to evoke a feminine energy like anything with combustible potential, red is to be approached with caution. Naturally, every woman should own a red dress and a red lipstick, it is alchemical, job-winning, date-scoring, speech-giving, confidence-boosting, enemy-vanquishing, and not to be underestimated. 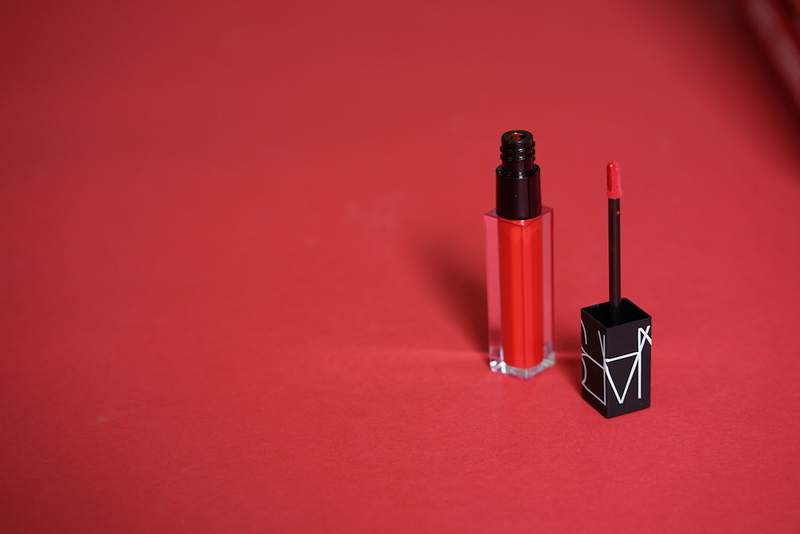 The history of red lipstick is a winding tale of power, death and rebellion. Some smeared it on despite the stigma, while others literally poisoned themselves with toxic lipstick formulas in order to look beautiful. Powerful women used it to assert their space, and others used it to build courage and flirt with the idea of coming out of their boxes. Red is also a health beneficial colour in your kitchen. For example, Tomatoesinclude eye care, good stomach health, and a reduced blood pressure. They provide relief from diabetes, skin problems. Furthermore, they improve stimulate blood circulation, reduce cholesterol levels, improve fluid balance, protect the kidneys, detoxify the body, prevent premature aging, and reduce inflammation. Tomatoes also like other red fruit and vegetable consist of a large number of antioxidants that have been proven to fight different forms of cancer.